This is a formal warning to BBX staff, franchisees, sub-contractors, members and associated parties that their/your involvement in perpetuating a fraudulent barter operation (BBX) may place themselves at risk of aiding and abetting criminal activity, and if it is in New Zealand or associated with NZ following midnight 31st March 2017, will result in criminal charges. BBX International is a barter business run from Australia, with a Head Office/Company located in Hong Kong, operating in supposedly 13 countries, but in reality only really two – Australia and the UK. Over the last month I have investigated and exposed substantial discrepancies in marketing materials and reality. From membership numbers to operational footprint to trading volumes to membership satisfaction levels reality differs from the companies presentation. I have shown substantial losses to members through currency debasement using BBX’s actual membership figures in real-time. I have publicly announced that I am charging the two Directors of criminal activity and have warned that deception is a crime in New Zealand, giving the “chapter and verse”. While there are many questions in relation to BBX, some of them raised by the whistleblower’s original fourteen questions, the biggest question in my view is the one of currency debasement . . . that the BBX Trade Dollar is debased through years of pilfering by the elite down to 4.01c in the dollar (most likely actually 1.71c in the dollar). Misrepresenting a currency as on par (i.e. 1:1 with the cash economy) is deception, plain and simple. BBX Members join the BBX barter system with the presentation that a BBX Trade Dollar is “worth” a local [cash] Dollar yet the reality is that this is not the case. This deception is not only a crime, it is a very serious crime. This is my warning. It is a promise. It is a statement of the activities I will undertake in the future. I seek nothing in return, I simply state here in advance what I will be doing, in my own jurisdiction of New Zealand and then provide a concluding commentary. My intent is to cease all deceptive activity within the New Zealand jurisdiction relating to the fraudulent BBX system. If the parties involved in an actual transaction know and acknowledge that the BBX Trade Dollar is devalued and they have discussed this first and agreed, then I don’t care – that’s their business. If someone either knows about The BBX Investigation or that it has been drawn to their attention then this will be sufficient for me and what they do or how they value the currency is up to them. That’s their business as far as I am concerned. I’m not after innocent people, I’m after those who deceive, for personal benefit. The New Zealand law makes it an offence to obtain something by deception – this does not have to be money, it can be as simple as goods, kudos, favours, or even continued employment. The phrase the law uses is VERY broad . . . “ownership or possession of, or control over, any property, or any privilege, service, pecuniary advantage, benefit, or valuable consideration”. It is clear to me that the law-makers were very serious about this topic – huge penalties and very broad description of benefits gained show this seriousness. So to the impact . . . the NZ BBX Trade Dollar is worth (by my calculations) 1.7c. 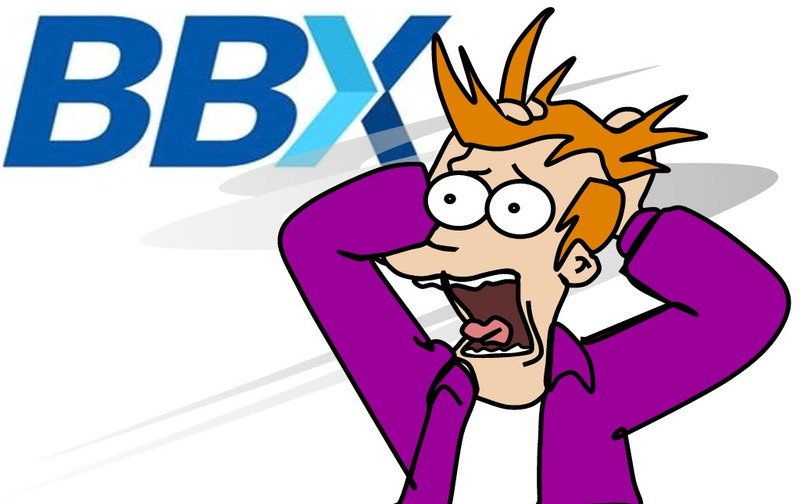 If BBX International continues to promote their deception on a website visible in New Zealand, I will charge them . . . again. BBX members who sell on the basis that the NZ BBX Trade Dollar is worth $1.00 cash will have committed deception. If or when I find evidence that this has occurred in the new financial year, I will charge the seller under s.240. I will also charge any staff or associate who presents the NZ BBX Trade Dollar as “worth” anything more than 4.1c from midnight on 31st March 2017. I choose this time and date because it is plenty enough time for NZ BBX Members to tidy up their affairs and it is the end of the financial year for most businesses in New Zealand. I have already commenced a Private Prosecution against the Directors of the companies involved in NZ thus far. More charges may follow. New Zealand law grants the freedom for ANYBODY, literally anybody (I think over the age of 18) to undertake a Private Prosecution through the criminal courts. It is rare because not many people know about them nor understand how this is done. I do. There are also risks to undertaking a Private Prosecutions because if your prosecution fails (they are found not guilty) then there is the possibility that the charged party could bite back and claim expenses and even perhaps sue for malice. Most people normally complain to the Police. In that event, the Police normally do their own investigation and may/may not charge – that is their prerogative. In my case, for a range of reasons, the Police themselves have encouraged me to take the matters I have been investigating further as Private Prosecutions. They are busy people; the matters I blog about are specialist; they can see that I am lucid, determined and use my brain; they have undertaken to help me when/if I need it; so I am and will. It’s a Bluff/Are You Serious? One thing that is incredibly hard for crims, crooks & crazies like the BBX people to understand is that some people live by principle, and are not opportunists like themselves. They live in a world of shadiness and flexible morality, smoke and mirrors, lies and deception. They play games using their power over others for selfish purposes. When they come up against someone like me who shoots straight; who doesn’t play their games, they always underestimate their adversary – always! I have it on good authority that when Carolin MacDonald first started handling staff enquiries about my blogging, she palmed them off – “Don’t worry!” she said, “Nobody reads his blog and it will all blow over in a week or two!” Not so. Four weeks into it and the fun is only just beginning! I placed a written warning on the website that should either IRTA or BBX representatives challenge me or my credibility that I would publish all the BBX Raw Data online for others to validate my claims. They both thought I was bluffing, indeed even planned a joint media release saying that I lacked credibility . . . not so. In due course I published. People can now see the facts. Furthermore with repeated denials and attacks on the whistleblower, he too made his data available to the BBX members! When the time is right, I will share the details of the Private Prosecutions online, here, in all their glorious ignominy. BBX presents themselves as something they are not. In New Zealand that is a crime. If the BBX World website is still visible to New Zealand public from April 2017, I will charge all parties involved in the deception under s.240. It is easy to IP Block New Zealand IPs from the page being served. Even the Staff & Associates? Yes, anyone. I have given notice to the New Zealand staff via email, this website is viewed by BBX management, and ignorance of the law is no defence. Any Franchisee, ex-franchisee, staff, ex-staff, BBX member, or ex-BBX member has free and full access via my Tipline and I welcome discussion of any matter. A simple call along the lines of, “Dennis, I see what you are saying. I don’t want to be a part of this BBX thing . . . it’s getting too hot . . . I’m going (or will go)” will likely be sufficient for me to consider the matter closed. Understand that with my intention to prosecute, I aim to stop the deception, not to save the world or to be the global barter policeman! Some may consider a threat like mine to be a form of blackmail or extortion. Not so, for I constantly say that I seek nothing from any exposure, except for the truth to come out! According to my Tipline, BBX International CEO, Carolin MacDonald and IRTA’s man Ron Whitney colluded to prepare a joint statement that I attempted to extort, i.e. blackmail. Not on your Nellie! BBX has nothing I want . . . and hasn’t had for more than the last decade! (3) In this section … benefit means any benefit, pecuniary advantage, privilege, property, service, or valuable consideration. I ask for nothing. I state my intent, reasons for doing it, and do it. Bad guys call foul. Good guys laugh their heads off. Why midnight 31st March 2017? I want to give people caught up in the BBX nightmare reasonable time to sort their affairs out. People will need to adjust mentally to the new reality that they have lost; to trade or negotiate their way out of the BBX mess; to prepare their affairs such as re-employment, taxation and accounting matters and to write-off their losses once and for all. It is also the end of the NZ tax year for most companies. Dragging BBX debits or credits into the new financial year doesn’t seem wise to me when most businesses will likely take the opportunity to rid themselves of the bad debts and credits associated with a failed barter exchange. More on this topic in a future post. I also want to set a date that people can see, yet again that I have given fair warning before I act. If some do not heed the warning and ‘cop it’, then really, there is no cure for stupid. In my next post, I share the upside of a huge devaluation in the BBX currency, showing BBX members how they can legitimately write off huge assets in their BBX accounts for tax purposes.